There are a lot of misconceptions when it comes to Disney Travel Planners. In the age of the Internet, why would anyone use Disney travel agents when they could just book their own trip online, right? Well, not exactly. You certainly can book your own trip, but we wouldn’t recommend it. While there are plenty of online resources to go it alone, the truth is, booking your Disney vacation with a specialized Disney travel planner can bring a lot of added value to your trip. And since not all Disney travel agencies are created equal, it’s especially important to work with a good one. If you truly want to have a magical experience at Disney, you should always book your trip with the best Disney travel agents so everything is done correctly. Are Disney Travel Agents the Way to Go? Not only can Disney travel planners answer all of your questions, but they find you the best possible vacation package – at the best promotional rate available anywhere. Disney travel planners also do the time consuming “heavy lifting” of booking as many aspects of a Disney World vacation as you wish. And- trust me – there are plenty of time-sensitive details to book! But what is most surprising to a potential client is that the services of Disney travel agents are entirely free of charge. No hidden fees, no fine print – nothing. When you add all the pluses and minuses, there is really no advantage whatsoever in booking your own trip. When you see the value Disney travel planners can offer you, it’s really a no-brainer. With that said, let’s review some of these key advantages in greater detail. Following this analysis, we will then review the 5 best Disney travel agencies in the business. This one is especially important for first or second-time guests to Disney World. Since Disney is a massive theme park – filled will all sorts of parks, attractions, resorts, restaurants, entertainment, and transportation options – then you really need someone who can help you plan and navigate through every step of your trip. Of course, your input is the most important. But their help and guidance will prove invaluable if you don’t already know the ropes. As amazing as Disney World is, it fast becomes a lot less amazing when you realize don’t know where you are going, encounter crowded attractions, can’t get seated at popular restaurants, or have booked a vacation package that isn’t just right for you. While guidebooks and online blogs can be helpful, you really need to talk with someone who first-hand knowledge of all aspects of the park. They can help you navigate through all of the unknowns and craft a vacation that is just right for you. Not all Disney travel planners (and Disney travel agencies) are created equal. Thus, it is important to find a dedicated Disney travel planner whom you can trust for the correct information and guidance. When you first contact a Disney travel planner, don’t be afraid to ask questions like: how many times have you been to Disney World? When was the last time you were at the park? Which restaurant has the best buffet? 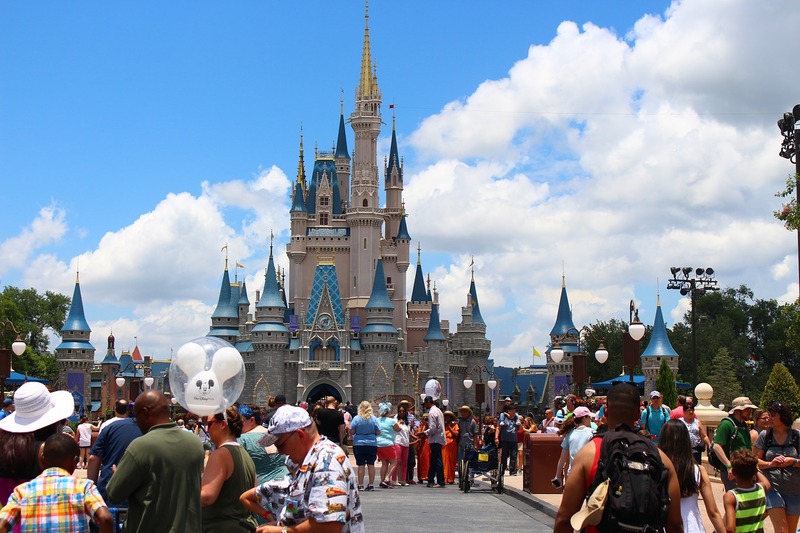 Which Magic Kingdom attractions have the shortest lines? What are the most popular FastPass+ attractions? Etc, etc. Lots of things change over the years, so you want to be sure the person making your recommendations knows all the ins and outs and has the most current information. The best Disney Travel Planners should make you feel like they are “on your side” and looking out for your best interests. If you tell them you want to spend 4 nights at a budget-friendly Disney resort, a good Disney travel planner will respect your goals and not up-sell you with a more elaborate vacation package. Disney travel planners should give you the personalized attention any client should expect. This means answering your questions, giving tips and advice to help you decide an itinerary based on your goals, meeting your deadlines, and putting in the extra effort to make sure that every aspect of your Disney World vacation is extra magical. You certainly won’t get the same level of personalized service if you were to book your own trip online or call Disney’s reservation hotline (and speak with different Disney employees each time you call). Unless you already know Disney all there is to know about Disney World, there is really no downside in having someone on your side to help you plan your trip. Another key advantage of using a Disney travel planner is that they are constantly monitoring new discounts and promotions offered by Disney. It’s their job to do this so you don’t do have to do it yourself. As you book your trip, a Disney travel planner will find the best current rates available (based on any deals/promotions that Disney is running). Once the trip is booked, your Disney travel planner will continually monitor all of the Disney promotions that become available. If any discounts spring up after a trip has been booked, a Disney travel planner will modify any existing client’s reservation to take advantage of these applicable discounts. Having an astute Disney travel planner – constantly on the lookout to save you money – is never a bad thing! Some clients prefer to be more hands-on than others. No problem! You can still utilize the services of a Disney travel planner while also doing a lot of the legwork – and some of the booking – yourself. This may include the planning/itinerary, and booking the FastPasses, Advance Dining Reservations, etc. Some clients prefer to leave every single detail up to the Disney travel agent. It’s really up to you how involved you want to be. At the minimum, the only aspects that a travel agent would need to take care of would be to book your hotel/ticket/dining plan package and to process the payments for your trip. Otherwise, your level of involvement is up to you. However, be warned that some of the bookings are confusing to the uninitiated, not to mention time-consuming and time sensitive. Most clients are happy to hand-off all of the dining and FastPass booking responsibilities to their experienced travel planner because they know exactly what they are doing and have the time (and obligation) to do it. 5. All of this – and it’s Free! Most travel planners receive a small commission book their client’s trips. However, this commission comes directly from Disney (not the clients). The clear beneficiary of this policy is you – the client. Some Disney travel planners do, in fact, charge for their services. Avoid them like the plague! No need to pay someone to do the work that most agencies do for free. And – if you are thinking there is some sort of catch or hidden fees somewhere – rest assured that there are none. The best Disney travel agencies are strictly no fee. And not only are the services of a Disney travel planner entirely free, but they put you in a position to get the absolute best rates offered anywhere (by closely monitoring the discounts/promotions and adjusting your vacation package anytime a better offer becomes available). So – to make it clear – when you book with a Disney travel planner, then you will receive the best possible rates, speak with a Disney expert who will answer your questions and steer you in the right direction, and then do all aspects of your booking for you. How often do you get this level of service for free?! Never! There is really no downside to using a good, no commission Disney travel planner. Our top-rated Disney travel planner award goes to The Vacationeer. They are a boutique travel agency specializing in Disney, Universal, cruise line, and destination resort vacations. With a satisfied client base from around the country, The Vacationeer gives its clients the personalized touches that larger agencies do not. Each vacation package is uniquely tailored to the client’s specific goals to assure satisfaction. The Vacationeer is known for going above and beyond the limitations of other agencies and strives to exceed their client’s expectations from the start to the completion of a trip. The Vacationeer’s goal is simple: to create magical vacations filled with memories that will last a lifetime. That sounds great, but how do they accomplish this? It starts with a staff of knowledgeable “Vacationeers” – all graduates of the Disney School of Knowledge – who not only know a lot about Disney but are also passionate Disney fanatics. In other words, this isn’t just a job; crafting their client’s Disney vacations is rewarding and exciting. To have this kind of in-depth knowledge, the Disney travel agents at The Vacationeer frequently visit the park and keep abreast of all the changes happening there. This also means keeping on top of the latest promotions and deals to save their client’s as much money as possible. You can rest assured that the Disney travel planners at The Vacationeer are some of the best in the business at satisfying each of these criteria, while also being some of the friendliest to work with. So – whether it’s your first trip to Disney World or your 40th – The Vacationeer is the premier agency to depend on. The Vacationeer can plan your hotel accommodations, advance dining reservations, FastPass+ selections, theme park ticket options, and much more. Besides Disney World, the agency is well-versed and fully-authorized to book travel for other popular resort destinations and cruise line vacations. So whether its a family vacation, honeymoon, romantic getaway, or just a solo trip away from the grind, The Vacationeer is the best travel agency in the business (in our opinion). And of course, their services are totally free. For a free, no-obligation vacation package quote, visit TheVacationeer.com or call them toll-free at 1-833-4MY-TRIP. Based in Corpus Christi, TX, Glass Slipper Concierge is a division of Sanborn’s Travel Service and is headed by well-regarded Disney author Cara Goldsbury. Her travel articles have appeared in publications such as The New York Times, Travel Weekly, Forbes Traveler, and more. Cara’s agency has received praise for its dedication to their customer base and is staffed with enthusiastic Disney fanatics. What really differentiates them from other Disney Travel agencies is their focus on crafting luxury Disney vacations. So if you refuse to settle for anything but the best in Disney accommodations, fining dining, and services – and have the budget for the golden treatment – Glass Slipper Concierge may be the people you need to talk with. For some people, bigger is better. So if you would prefer to book with a large Disney travel agency, Pixie Vacations may fit the bill. The company is based in Canton, Georgia and founded by Lisa and Steve Griswold – two former Walt Disney World Cast Members. With this in mind, you may have surmised that they know a thing or two about Disney World. In fact, the founders have been featured on ABC, NBC, CNN, and other major news outlets as Disney authorities. Pixie Vacation’s roster of travel planners includes over 50 Disney travel agents with various levels of experience and knowledge, all dedicated to helping their clients make their vacation magic come to life. Pixie’s specialties include Disney, Universal, Griswold, and honeymoon vacation packages. So if the idea of booking through a large agency appeals to you, Pixie Vacations may have a travel planner that matches your criteria. Mouseketrips was founded in 2002 with the goal to make Disney vacations less complex and confusing. Today, Mousketrips has 21 Disney travel agentss helping vacationers navigate the muddy Disney waters. And unlike many of their competitors, Mouseketrips is a Disney-only travel agency. Headquartered in Draper, Utah, Mouseketrip’s travel planners are attentive and knowledgeable in all aspects of Disney travel. Best of all, their services are free of charge. Reviews of this agency are generally positive. The Magic for Less Travel professionals are there to help you find the best price, features, and value at the various Disney Destinations. As an added bonus, they also book Hawaiian vacations, as well as Disney’s Hilton Head and Vero Beach resorts. So if a larger agency with a focus on value is music to your ears, The Magic for Less Travel may be the right Disney travel agency for you. Have a magical Disney World vacation! Thank you for reading our Best Disney Travel Planners page. For more helpful Disney World vacation information, see our Disney Dining Plan Calculator, Disney World Transportation Map, Disney World Resort Map, Disney World Tips and Tricks, and our Disney World Crowd Calendar pages.